Freerk Bellinga Swalve driving a horse-drawn buggy in 1908. 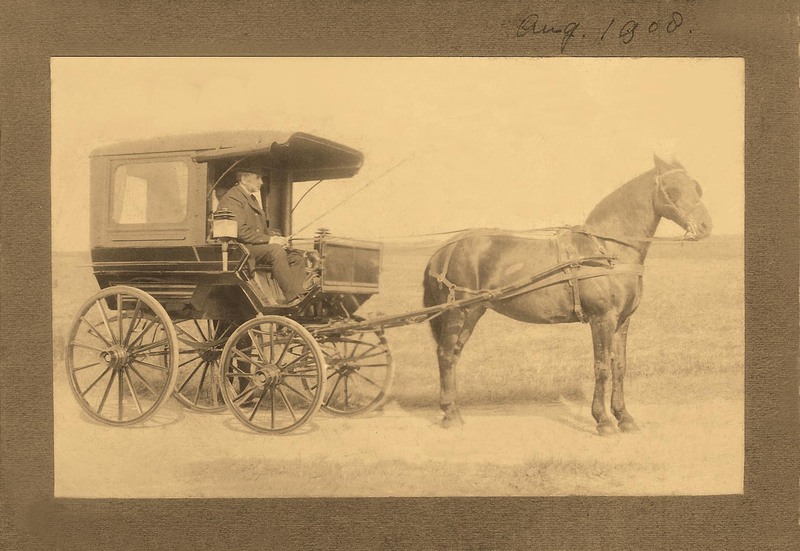 In the photo (dated August, 1908), my great-great-grandfather Freerk Belling Swalve (born in Bohmerwald, Prussia, in 1855) is driving a horse-drawn carriage with at least one passenger aboard. He would have been 53 years old, and this photo likely would have been taken in the Netherlands. As with most of the photos I post here, I did some retouching in Photoshop (that’s a disclaimer for the purists). This one was riddled with scratches, dirt, and tears, but it didn’t turn out too bad. I felt that this was a good time to post the photo, given that I confirmed the other day that the man was, indeed, Freerk. I hope you enjoyed seeing how people got around about 100 years go! MYSTERY PHOTO SERIES: Ancestor identified as Freerk Bellinga Swalve! This is an exciting moment — the first photo mystery that has been solved on this blog! And it’s all thanks to Willem Vlietstra, who sent me some late-1800s photos of the Swalves last week. 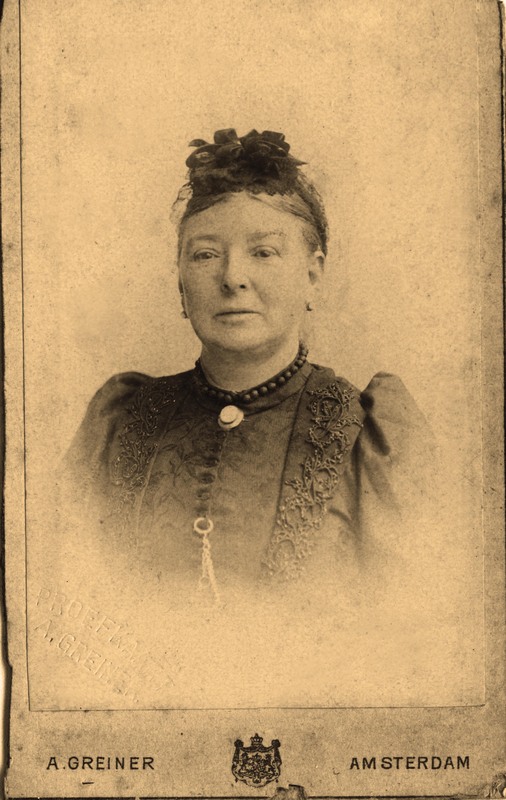 Among the photos was the one above of Freerk Bellinga Swalve (taken around 1880), as well as one of Helena Catrina Koster in the thumbnail to the right. 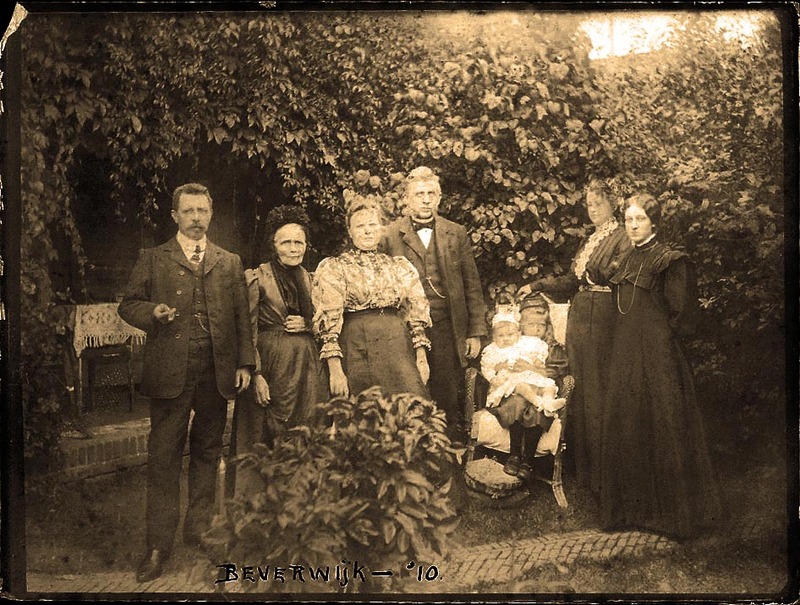 If you remember in our second Mystery Photo Series post, I was thinking that the older gentleman in the group photo was Freerk and that the woman next to him might have been his wife Helena. However, since receiving the photos from Willem, I now have the answers to both those speculations. As it turns out, I was half right, and also half wrong. The gentleman is most certainly Freerk, but the woman (unknown ancestor No. 2 in the photo below) is definitely not Helena. So possibly a sister instead, since she does have those light-colored eyes? Well, she is one of my new mysteries, as she is in many photos with Freerk, but remains unidentified. As with most answers I find in my genealogy research, more questions always arise. You can expect the next Mystery Photo Series post to be all about her. 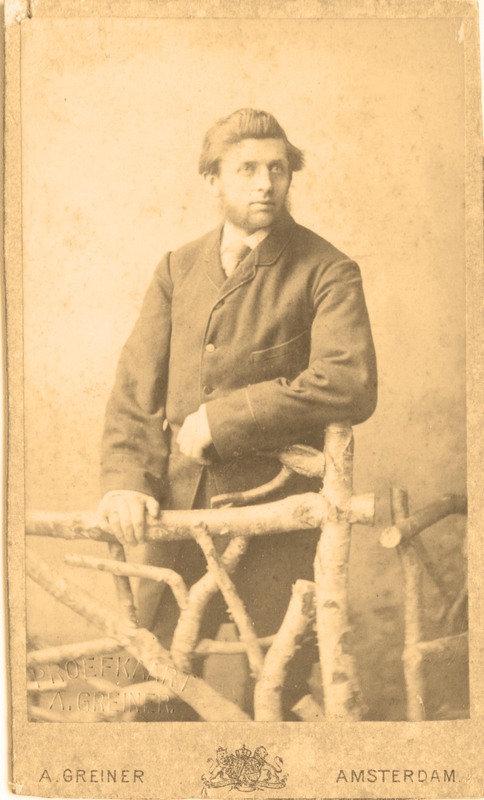 From left to right, Dirk de Wit (1873), unknown ancestor No. 1,unknown ancestor No. 2, Freerk Bellinga Swalve, unknown child, Helena Fredrika de Wit, Wubbina Engellina Johanna Petronella Swalve, and unknown woman in Beverwijk, 1910.